An MQ-9 Reaper stands ready and fully armed on the flight line of Kandahar Air Field with four AGM-114 Hellfire missiles, one GBU-12 Paveway II, and one GBU-38 Joint Direct Attack munitions mounted on its wings. The United States Air Force's 62nd Expeditionary Reconnaissance Squadron launches the MQ-9 Reaper Unmanned Aircraft or drone, from Kandahar Air Field. The U.S. Air Force currently fields 10 of the $13 million aircraft which can be armed with a variety of guided bombs. 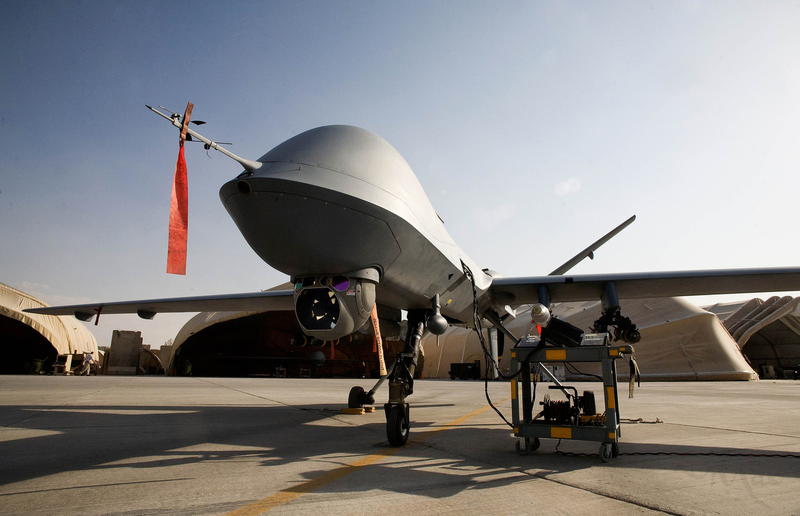 The Reaper is controlled by a flight team in Kandahar for take-off and landings but is controlled for most of its 12 to 13 hour missions from a base in Nevada operated by the 42nd Attack Squadron.